“My father who is 66 suffered a sub arachnoid haemorrhage leaving him with a dense left arm weakness and inattention to the left side. Mirror therapy does work wonders. Did you know that Yamamoto New Scalp Acupuncture also works for this? In my opinion only (I use both), it appears to have the same/similar mechanism but seems more intense/faster in result. 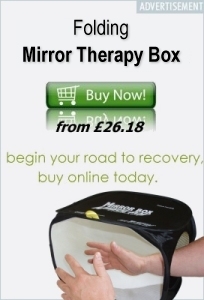 Mirror therapy engages miror neurons (monkey see, monkey do). 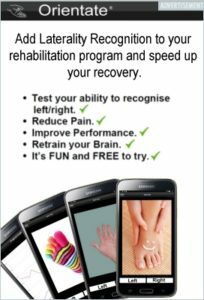 It retrains the brain utilising the cortical representation of the body in the brain. YNSA works on a micro system of the body represented in the head. Pictures of body representation are very similar. i had stroke 4 years ago. i made good improvements and isolated most of my deficits to a clumsy hand. i work the miror theopphy 1 hour a day. does it work? now if anyone knows how to decrease spasity….